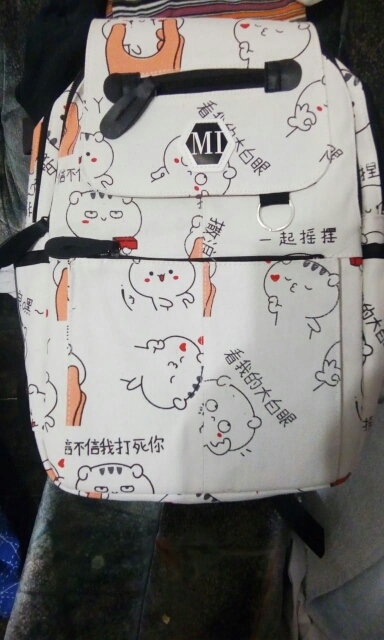 good satchel, high quality. маловат for senior grade. 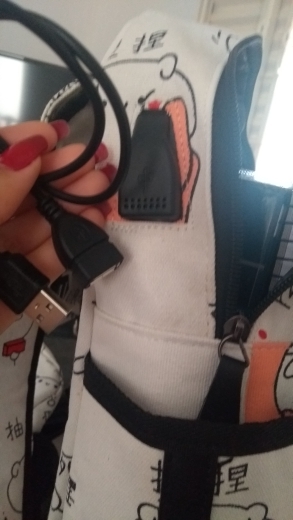 to charge the phone have приспособа yusbi with lanyard. it. great! заказала 30.06., received 17.07. ростовская region! both in all description. perfect stitching! thank you very much store! quality higher price!!! Excellent quality. Like her daughter. Thank You for the gift. All of it is sealed, fit completely, all good, flaws and shortcomings not found. 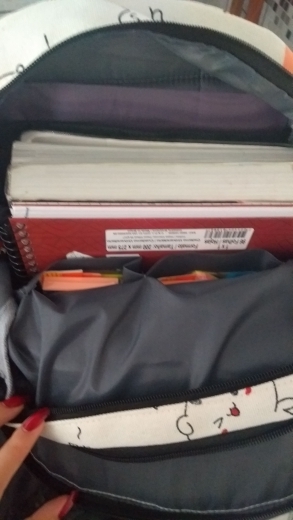 THE backpack easily fit notebook A4, think and laptop fit, then check. THE handbag notebook relaxed fit, pencil case very roomy. Does not stick, the key fob true was thread glue (hot), but it’s nothing. Hold everything well. I AM happy. Later will add as Ponos slightly. 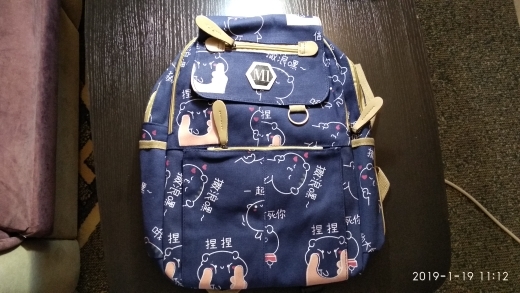 Quality backpack, bags is excellent, strong. Advise store, happy baby. It Is the best my order! This set is simply amazing! Excellent quality, very beautiful, great! Delivery very fast, less than three weeks! My daughter is 12 years just happy! 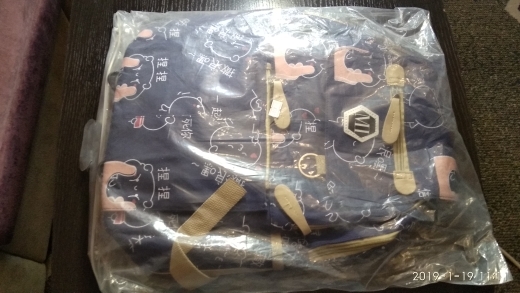 Want to say thank you for goods and excellent work! 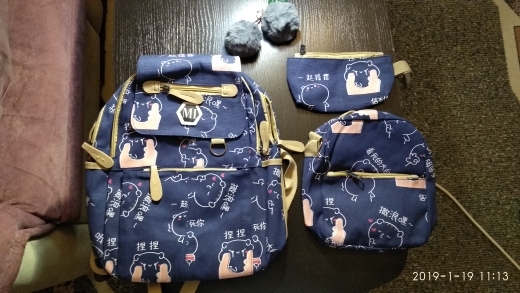 Ordered 19 Aug. 1 sept was at the post office. 2 sept took the order. Delivery one 2 weeks to Kursk, this is very good thank you for prompt shipment. Track to track down to arrive in the mail. After notification in the email of the arrival of the parcel. About order: All was well packed. Never opened. Smell like a new backpack, that you buy at the store. Quick drying time, yet made photo order. Flat seams, do not stick out. Material of good quality. 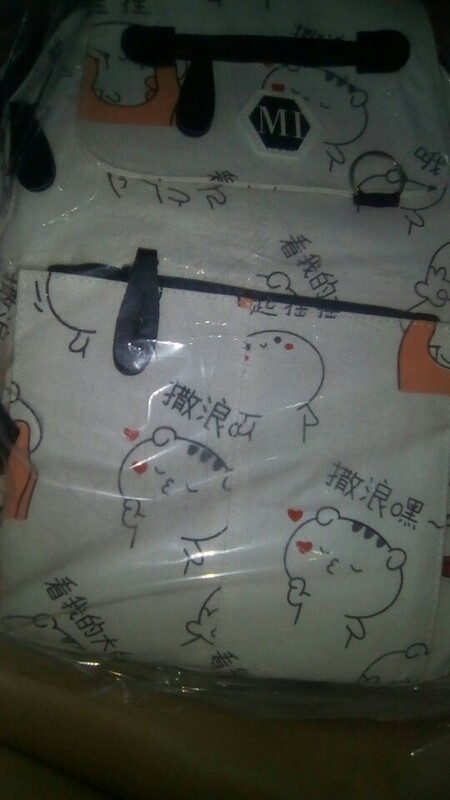 Outside cloth, but inside good lining, not wet if that rain. Color as the photo, a clear pattern, all mounts and straps are adjustable with no problems. Very roomy. IN the same school. Girl took 5 class. Not unwieldy, very neat. Also was a bag and kicking. Without defects. 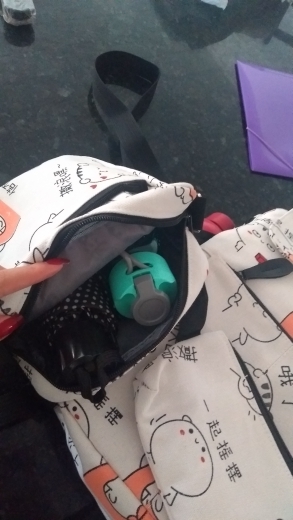 The bag is not big, good will go for a walk or trivia that is put a couple of notebooks, kicking and the Phone keys. 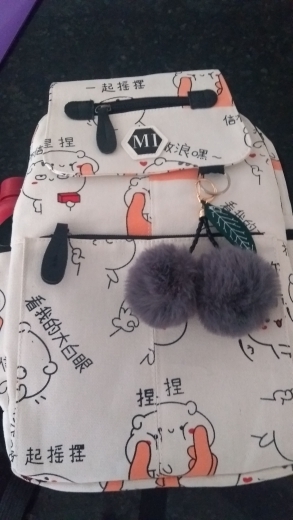 There is still a fluffy keychain in gift. All happy. Good value for money product. Come! Very like! 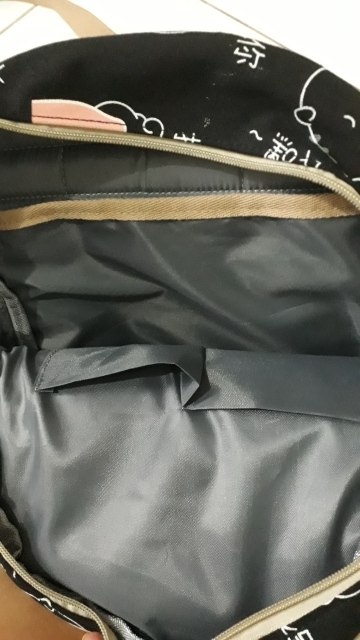 All suit: excellent quality, roomy, as does the backpack and handbag and purse! All carefully made. Recommend! Order, do not regret! Hello. Backpack super. My Daughter is very happy. Well-cut, zipper work. Set Of 5 + + + + + +. 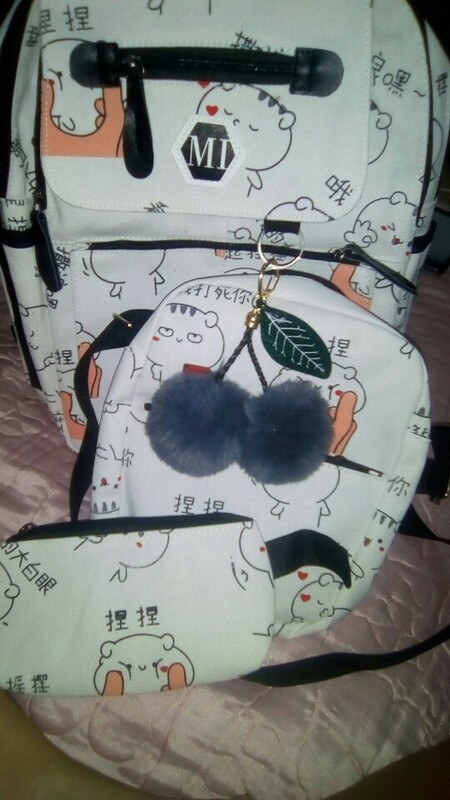 Bag is wonderful! All very much, happy. Sewn bag good, thread did not seem to stick. Did not communicate with. Packaging Bag in the package. Backpack good value for money. Such as quality but will live as unknown. Extra bags present + brelochek. Worthy survives in use пятикласницей. Briefcase great books fit daughter very happy!!!! Thank you! Track to track to destination! Shed only 2 weeks to SF! Just like in the description!!! 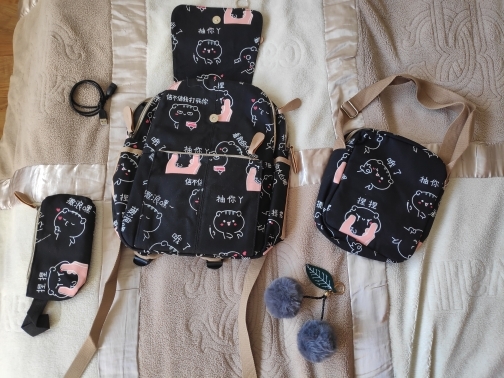 Backpack, handbag and purse is very cute!!! Fabric))) also cute keychain. I AM happy. So happy. All good. No smell, but the smell of new things. 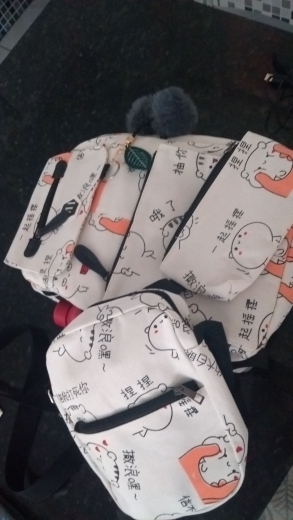 Very happy with a backpack, arrived safe, quality is good, looks cool. Is a little bit upset that track it, but it’s not a problem. Backpack come quickly. All neat stitching, stitching quality. Items like. Lining Fabric rustling, quickly fly. Seller recommend. 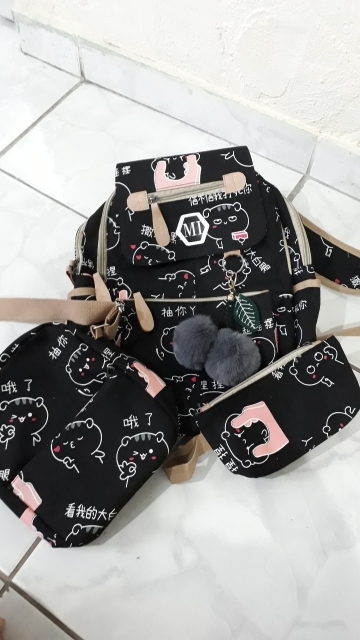 Product as described, very beautiful, my daughter loved, arrived straight, is good quality and well before the expected and estimated time, the product come with 15 days here in Cable Frio-RJ. Very satisfied. Thanks! !